How Do I Tell If I’m Overtraining in London ? A little exercise is good for you, so more must be better, right? Well, sometimes. And sometimes more is just that – more. There comes a point of diminishing returns or, worse, a point where your body says Enough! Everyone reaches this point at different times. Triathletes, for example, are able to withstand the rigors of three-sport training – running, cycling and swimming – at levels unthinkable to most. For others, an extra step class or hitting the weights too hard can put them over the top. In the quest for better health and fitness, it is sometimes difficult to quell one’s enthusiasm and take a break from exercise. But if exercise is leaving you more exhausted than energized, you could be suffering from an acute case of overtraining. Once you recognize the symptoms of overtraining, it’s important to understand and honestly confront the cause. 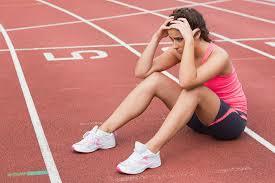 For some, overtraining occurs as a result of an upcoming competition. Increased training prior to an event is understandable, but if it’s interfering with your health and well-being, you have to question its worth. The solution? Maybe as easy as reducing the rate at which you increase your training intensity. The body needs sufficient time to adjust to your increased demands. Triathletes don’t start out running 10 miles, cycling 100 miles and swimming 1,000 meters all at once. They gradually increase their training to allow their bodies to adapt. It’s a difficult problem to recognize, particularly in a culture where discipline and control are lauded. Individuals who exercise excessively are risking more than poor performance: They’re risking their health. Overuse syndrome, which may lead to more serious injuries, is common. And the emotional cost of isolating oneself in order to exercise can be devastating. If you recognize these symptoms in yourself or in a friend, it is essential that you seek professional help. The key, it seems, to stay healthy is to do everything in moderation, which is best viewed as something relative to one’s own fitness level and goals. Don’t expect to exercise an hour every day simply because your very fit friend does. The body needs time to adjust, adapt and, yes, even recuperate. Exercising to the point of overtraining is simply taking one step forward, two steps back – not good in long run pain and fat will come with overtraining. Need HELP with overtraining I can help your body and mind heal and for you to get back to training in the gym and feel good again and lose weight and get strong over 27 years of working out and been helping clients for 18 years. CALL ME OR LIVE CHAT ON WEBSITE TODAY!